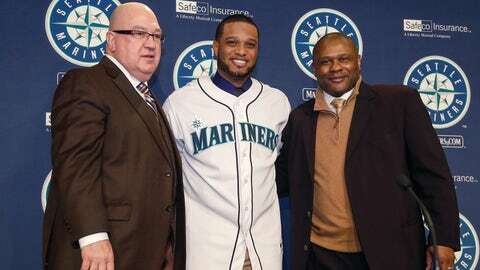 Robinson Cano better like what he's got himself in the middle of, because he's there for the long haul. It wasn’t about the money for Robinson Cano. At least not completely. If Cano wanted to maximize his earnings, he would have asked his representatives to negotiate an opt-out clause into his 10-year, $240 million free-agent contract with the Seattle Mariners. You know, the same type of opt-out that right-hander Zack Greinke received after three years in his six-year, $147 million free-agent contract with the Los Angeles Dodgers last offseason. And the same type of opt-out that lefty Clayton Kershaw received after five years in his new seven-year, $215 million contract with the Dodgers. Both Greinke and Kershaw are represented by Casey Close, who also is the agent for the next pitcher in line for a big deal, Japanese right-hander Masahiro Tanaka. Cano is represented by Jay-Z and CAA. To understand the value of an opt-out clause, consider the possibilities for Kershaw after he earns his first $150 million in his first five years. If Kershaw opts out, his intention, obviously, will be to negotiate an even better deal. A five-year, $180 million contract — and that might be a conservative projection, based upon the way the market is escalating — would bring his total to 10 years, $330 million. Let’s not stage a pity party for Cano — his priority was length of contract, even over average annual salary. Yet, pitchers are bigger risks than position players, and Kershaw got nearly $7 million more per season than Cano without even testing free agency. Oh, and one other thing: Cano had better like Seattle. Without the ability to escape his contract, he isn’t leaving anytime soon. A year ago at this time, the Indians thought Drew Stubbs would be their center fielder. Then Michael Bourn lingered on the free-agent market and — voila! — the Indians signed him to a four-year, $48 million deal. Could the Indians make the same type of stealth move this offseason? Well, they want to improve their pitching. And given the still-plentiful supply of starters and relievers, bargains soon could abound. 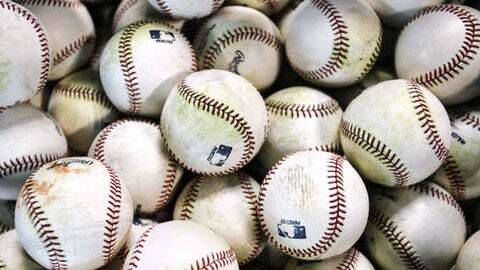 If you’re keeping score, the Indians have lost left-hander Scott Kazmir and right-handed relievers Matt Albers, Joe Smith and Chris Perez to free agency. They’ve also added two relievers, righty John Axford as a free agent and lefty Josh Outman in a trade. Re-signing free-agent righty Ubaldo Jimenez? It is not out of the question. Nearly two weeks ago, I reported that Jimenez’s agents were telling clubs that he still expects to sign a multiyear deal at $14 million-plus annually. But so far, he has yet to complete such a deal. Perhaps the Indians would prefer to collect a draft pick for Jimenez and pounce on the market for second-tier starters. They have said that Axford will be their closer, but who knows? They could even get involved for free agent Fernando Rodney if the price was right. The Orioles are pursuing Rodney, and the Mariners remain a possibility for the former Rays closer. But the Indians can play the market accordingly, just as they did a year ago when they came out of nowhere to sign Bourn. • Check out the photo that Yankees left-hander CC Sabathia tweeted of himself and his wife, Amber, from Rickie Weeks’ wedding over the weekend. One friend of Sabathia’s estimates that he has lost 40 pounds. • The Nationals did not gain control of any of right-hander Jordan Zimmermann’s free-agent years by signing him to a two-year, $24 million extension. But they did buy themselves time. While the Nats still will talk to Zimmermann about a longer deal, they also can delay such an investment while monitoring the developments of their top pitching prospects, Lucas Giolito and A.J. Cole. • The Indians’ Carlos Santana told ESPN’s Enrique Rojas that he was preparing to play third base and no other position in accordance with the team’s plans. Club officials, however, will hold off such a decision until spring training. Manager Terry Francona obviously will gain significant lineup flexibility if Santana, a switch-hitter, is playable at third. But the Indians are not ruling out Lonnie Chisenhall at the position. • Both the Indians’ Justin Masterson ($11.8 million) and Reds’ Homer Bailey ($11.6 million) asked for big numbers in arbitration, but keep in mind that as “five-plus” players — that is, players with more than five years of service — both can compare themselves to free agents in the process. Besides, a sizable “ask” doesn’t assure a sizable award. Right-hander Matt Garza settled for $9.5 million after asking for $12.5 million in 2012 as a four-plus player. The Reds offered Bailey $8.7 million. The Indians offered Masterson $8.05 million. • Bailey still could negotiate an extension with the Reds, and a rival executive cites him as an example of the importance of patience with young pitching. In his first two seasons, Bailey allowed 61 earned runs in 81-2/3 innings for a 6.72 ERA.